Manny Pacquiao’s former strength and conditioning coach Alex Ariza has hit out at the former eight-division world champion’s match-up with WBA “regular” welterweight champion Lucas Matthysse scheduled to take place on July 15 at the Axiata Arena in Kuala Lumpur, Malaysia. The Matthysse fight is the first bout Pacquiao 59-7-2 (38) will have in 17 years without long-time trainer Freddie Roach in his corner. 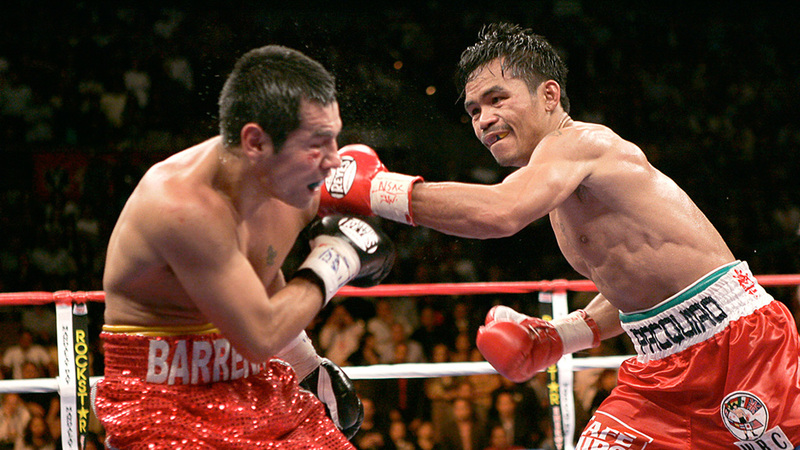 Replacing Roach will be Pacquiao’s lifelong friend Restituto “Buboy” Fernandez, assisted by Raides “Nonoy” Neri. Not only does Ariza see the style match-up as all wrong, but he believes that Pacquiao’s team are trying to turn back the clock and force him to train like his did in his twenties. Argentinean banger Matthysse 39-4 (36) might strike some as an unusual choice after Pacquiao was roughed up by big Australian welterweight Jeff Horn in July last year, losing a 12-round unanimous decision to the Fighting Schoolteacher at Brisbane’s Suncorp Stadium. The secret might lie in the fact that Matthysse is just four years younger than Pacquiao at 35 and looked less than spectacular in his welterweight title fight against unheralded Thai boxer Tewa Kiram in January. He is also a natural 140-pounder who has only had two legitimate fights at the weight and has only fought twice since October 2015. Ariza cited the drop off in Pacquiao’s punch output as one of the reasons for his poor showing against Horn, saying that the popular Filipino senator only threw 400 punches compared to 800-1200 punches in his prime. But the real problem for Pacquaio, Ariza believes, is in his choice of cornermen. “He made the right move but not with the right people” he said about sacking Coach Roach. “If he was going to make a move to Buboy, he should have stayed with Freddie. They’re helpers.